Most people are going to hate me for writing this piece, but please don’t. Try to understand what I have been saying since Dec-2017. I am not a NoCoiner nor am I a Maximalist. My portfolio is distributed equally among various asset classes including Crypto. Please read another piece I wrote recently — Why Am I Buying ALT coins? before drawing any conclusions. 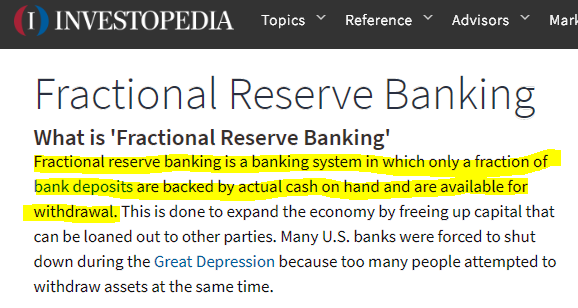 Fractional reserve banking is one of the problems Bitcoin was designed to solve. Instead, bankers have decided to solve Bitcoin’s scarcity problem by applying Fractional Reserve to Cryptocurrency. I am going to keep it short: Fractional Reserve, Commingling, Rehypothetication and Derivatives are complex words for one simple thing — increasing paper supply of something that has limited physical supply (like Gold, Silver, Bitcoin and Cryptos in general). 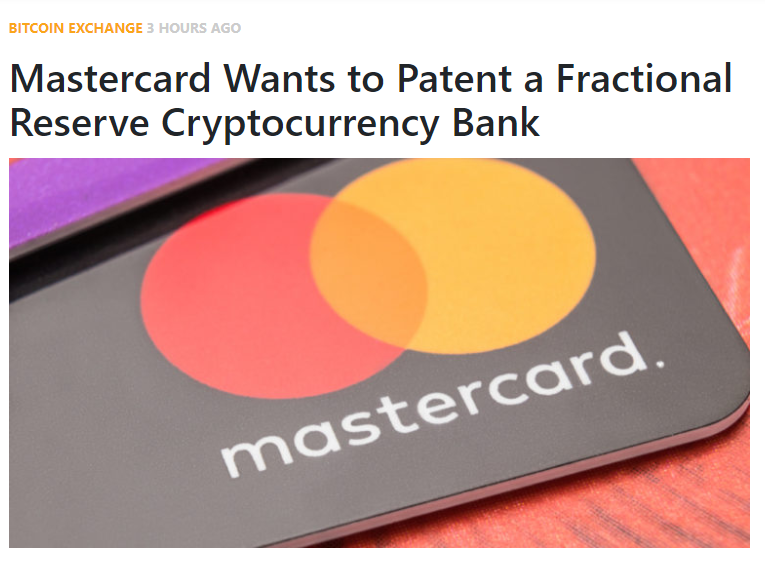 Fractional Reserve is ultimate paper copying machine invented by Wall st.
With this patent, the Fractional Reserve Cryptocurrency Bank will be able to LEGALLY trade 10 times more Bitcoins than it holds in its reserve (10% requirement). Rest assured — they will until they remain in control over the financial system. 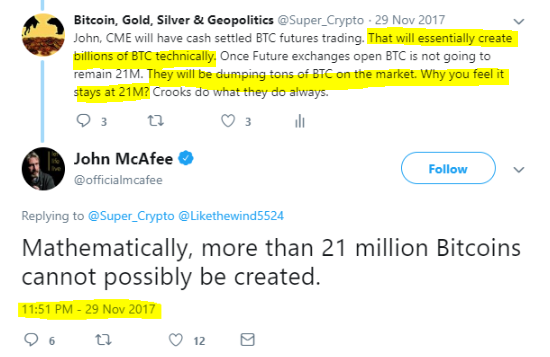 Bitcoin may be limited “mathematically” as McaFee says, but unfortunately Banking will create unlimited supply “magically” (through FR). 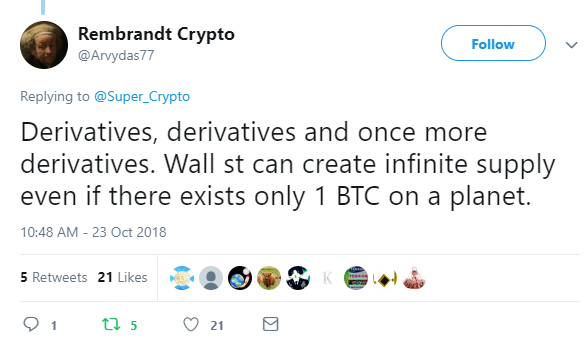 Wall St. has found solution to Bitcoin’s scarcity 20 years before Bitcoin was invented. It is called Fractional Reserve. First they introduced Futures market, then the Bitcoin was brought down and now the fractional reserve gets into picture as volume grows on the futures market. They say there is no perfect murder…time will tell us how this goes. But, there is a hope!! 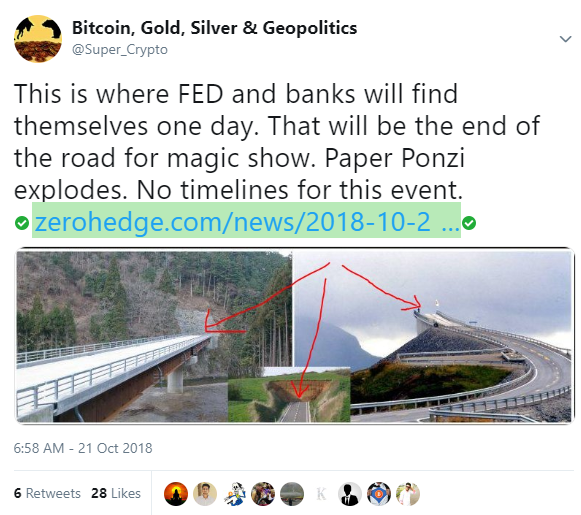 This Paper Ponzi will certainly end one day….but that day may be far away. Till that day the FR will rule and the banks will continue to dilute Bitcoin supply (just as they have successfully done with Gold & Silver for last 8 years). How so ever we may not like, it’s time to recognize the threat instead of putting our heads in the sand. Good luck to all. What are Bitcoin Minimalists going to do? I am waiting for another rally after ETF and Bakkt so I can sell high AGAIN. Next articleLightning Network Promised Millions of Transactions a Second, Where Are They?